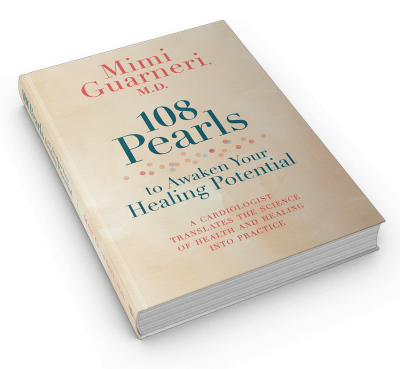 Her most recent book is “108 Pearls to Awaken Your Healing Potential,” published by Hay House in April, 2017. Also the author of “The Heart Speaks,” Dr. Guarneri’s work has been featured on television with NBC Today and PBS. She is the Professor of The Great Courses DVD series, “The Science of Natural Healing.” She is co-author of the book, “Total Engagement: The Healthcare Practitioner’s Guide to Heal Yourself, Your Patients & Your Practice,” published in 2014. 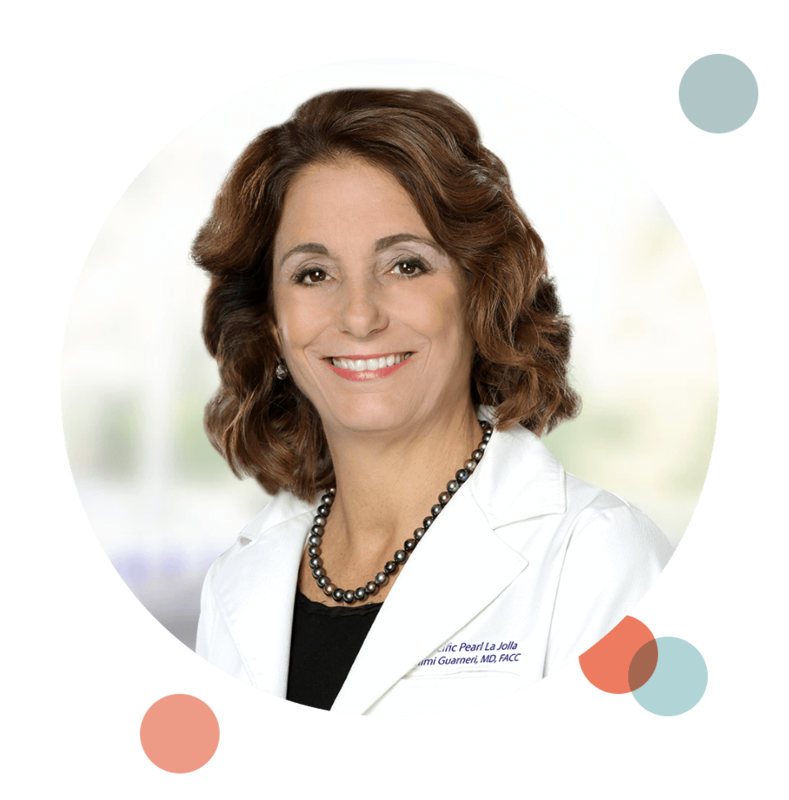 Among many awards and honors, Dr. Guarneri has been recognized for her national leadership in Integrative Medicine by the Bravewell Collaborative and has served as chair of the Bravewell Clinical Network for Integrative Medicine. In 2009, Dr. Guarneri was honored as the ARCS Foundation Scientist of the Year. In 2011, Dr. Guarneri was the winner of the Bravewell Physician Leadership Award which honors a physician leader who has made significant contributions to the transformation of the U.S. healthcare system. More recently, she received the 2012 Linus Pauling Functional Medicine Lifetime Achievement Award from the Institute for Functional Medicine and the Grace A. Goldsmith award from the American College of Nutrition. Ranked as number six of the 100 Top Physicians Practicing Integrative Medicine by Newsmax in 2015, she also was honored with San Diego Magazine’s Woman of the Year Awards as Health and Wellness Pioneer 2016 for her outstanding leadership. 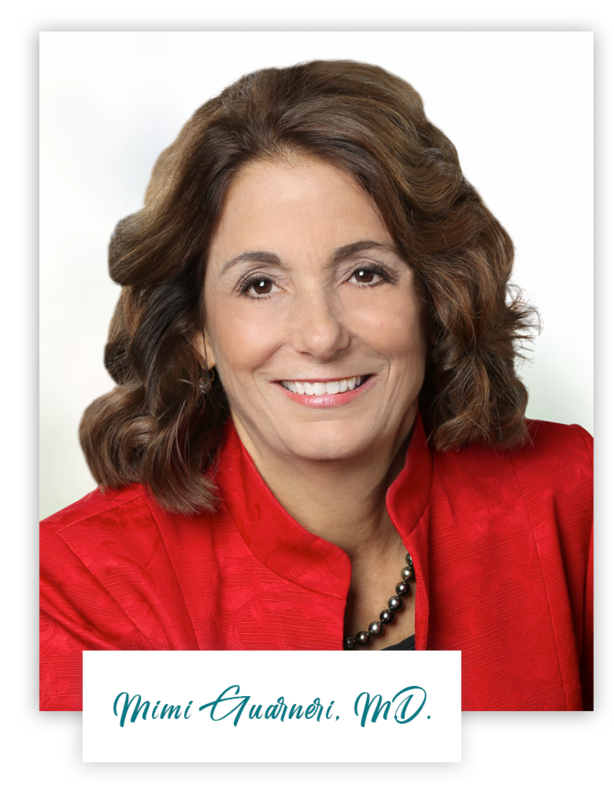 Dr. Guarneri also co-founded and serves on the board of Miraglo Foundation, a nonprofit, charitable organization. Dr. Guarneri has contributed extensively to the world of medical literature with articles appearing in journals such as the Journal of Echocardiography, International Journal of Human Nutrition and Functional Medicine, Psychology, Health & Medicine, Journal of Psychological Inquiry, The Lancet, Cortlandt Forum on Interventional Cardiology, and Annals of Internal Medicine. She has co-authored numerous research abstracts and co-authored several book chapters including Integrative Approaches to Cardiovascular Disease, Integrative Cardiology; Dyslipidemia and Atherosclerosis, Food and Nutrients in Disease Management; Integrative Cardiology: Nutrition, Nutraceuticals and Enhancing Resiliency in Cardiovascular Disease, AAPI’s Nutrition Guide to Optimal Health: Using Principles of Functional Medicine and Nutritional Genomics Part 2; among others. Dr. Guarneri participated as a member of the writing committee for the American College of Cardiology Foundation on Integrative Medicine in Cardiovascular Disease. She is author of The Heart Speaks: A Cardiologist Reveals the Secret Language of Healing (Simon & Schuster New York), co-author of Total Engagement: The Healthcare Practitioner’s Guide to Heal Yourself, Your Patients & Your Practice (Changewell, Inc.), author of her latest book, 108 Pearls to Awaken Your Healing Potential (Hay House) Spring 2017, and professor of The Great Courses, The Science of Natural Healing (The Teaching Company), which is a collection of 24 videos of her 30-minute lectures. She is regularly quoted in national publications such as the Yoga Journal, Body+Soul, Trustee magazine and WebMD. Dr. Guarneri has been interviewed or featured on many nationally syndicated radio and television programs including The Dr. Oz Show; a two-part PBS documentary, The New Medicine; NBC’s Today Show; and PBS’s To the Contrary and Full Focus. She is often an invited speaker for online summits, such as the Food Revolution Summit and the Hay House World Summit. A go-to expert on integrative health, the state of healthcare and mind-body medicine, she is featured in local and national television programs. Her news and interview videos are extensive. Dr. Guarneri has been extensively honored for her work. In 2016, she received San Diego Magazine’s Woman of the Year Awards, 2016 Health and Wellness Pioneer recognizing her development of the San Diego region into the forefront of Integrative Medicine with the two integrative centers she co-founded and her creation and co-direction of several national conferences in San Diego that annually attract the leading speakers in their fields and thousands of healthcare professionals from across the U.S.
Dr. Mimi Guarneri is a highly-sought international presenter and educator. An engaging speaker, she has a broad range expertise that can be tailored to physicians, health providers and the consumers. She is skilled in fluid connection between topics, customizing content for specific audiences and leading conferences, symposiums and panels.